It was top of the class for the Dunboyne Castle most stylish lady as art teacher Paula Gannon from Co Roscommon won over the judges. Victoria's Secret is growing its army of Angels. In the never-ending coverage of doom and gloom coverage, there has emerged one positive retail story. Cara Delevingne and Penelope Cruz led the finale runway in what was Karl Lagerfeld's final collection for Chanel. Anna Wintour "admires" how Kim Kardashian West's style has become "more minimal" over the years. M&S marks 40 years in business in Ireland with a strong spring/summer womenswear collection in which denim has a starring role. Karl Lagerfeld was a genius in his own right, but he helped so many designers emerging into haute couture. No one knows the impact Lagerfeld could have on your career more than Irish hatmaker Philip Treacy. Fashion designer Karl Lagerfeld has died, according to reports from France. Irish designers explored intimacy and the female body in innovative ways at London Fashion Week. The Irish Fashion Innovation (IFI) Awards celebrate their 10th anniversary next month with a gala show featuring exciting home-grown talent across fashion, millinery, jewellery and accessories. 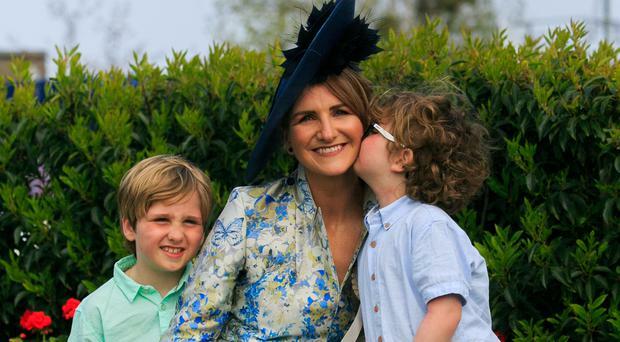 Fashionistas can get their hands on the wardrobes of celebrities such as Saoirse Ronan and Miriam O'Callaghan - all while raising money for charity. Glenn Close, this year's dark horse in the now-unpredictable Best Actress Oscars competition, has been a breath of fresh air during awards season. For as long as we can remember, womenswear has long been the jewel in the crown of the global fashion industry. Just six months ago, Donegal teenager Ferdia Gallagher was working in his aunt's shop. Meghan Markle, the British royal family's reigning rule breaker, understands better than anyone the impact one Roland Mouret dress can have. Will Dubarry benefit from the Kate Effect? Apparently, it's the phone call that all fashion designers lie in wait for, and once it comes through, it means a retail red-letter day. The British royal family's love affair with Irish fashion is continuing into 2019. Irish actress Saoirse Ronan is among the Hollywood elite named as this year's best dressed by British Vogue. Rachel McAdams: A-list actress, Oscar nominee and multi-tasking new mother. Some of fashion's biggest names were reportedly annoyed at experiencing the inconvenience all non-VIPs have when in the presence of a princess. KENDALL JENNER is the world's highest-paid model, according to Forbes magazine. Veteran American's Next Top Model contestant Jael Strauss has died at the age of 35 after a brief battle with breast cancer. We are officially at the height of Kate Middleton-tiara demand. If you can't indulge in a bit of fashionable frivolity at Christmas, when can you? Staff at Kensington Palace are reportedly struggling to adjust to Meghan Markle's attention to detail and independent streak. The Victoria's Secret Fashion Show has come and gone another year, but the backlash around marketing boss Ed Razek's comments wages on. Adriana Lima shed tears on the runway during the Victoria’s Secret Fashion Show - as she announced she is leaving the brand. H&M x Moschino - is it worth the hype? Millie Mackintosh has revealed she "cried every day for two months" after announcing the closure of her eponymous fashion line. Behind every woman is...her best friend waiting in the wings. Actress, author, screen writer, shoe designer and jewellery queen. Belfast model Mairead O'Neill has passed away suddenly at the age of 21. WATCH: Sam Gowland talks about becoming a "Dad!"